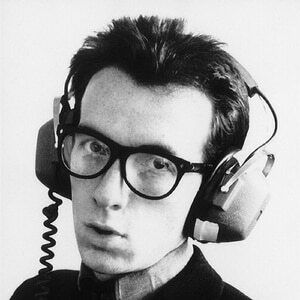 Elvis Costello (born Declan Patrick MacManus on 25 August 1954) is an internationally known English singer-songwriter. Gaining prominence as an early participant in London's pub rock scene in the mid-70s, he burst into fame with his critically acclaimed 1977 debut 'My Aim Is True', still one of the most successful debuts of all time. He soon did much work in the genres of punk rock, power pop, and New Wave after he formed Elvis Costello & The Attractions.